It’s pink, it’s shiny and it’s whoopee! 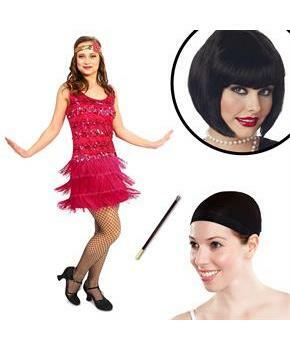 What more could a dame want Relive the Jazz Age in this 20's Vintage Inspired Flapper adult costume, perfect for doing the Charleston, the Jitterbug and all the moves as you hit the dance floor. Comfortable and easy to wear, this little fuschia number is glamour done right. Flashy fuschia paillettes and lots of sequins sparkle in the light as you shimmy and shake to the latest big-band sounds. This knit sheath dress also features three rows of pink fringe that add to the magic. Putting a few pin curls in your hair is all that’s left to do after donning the gold sequin headband with pink floral applique and your look is complete. You'll be the cats's meow! 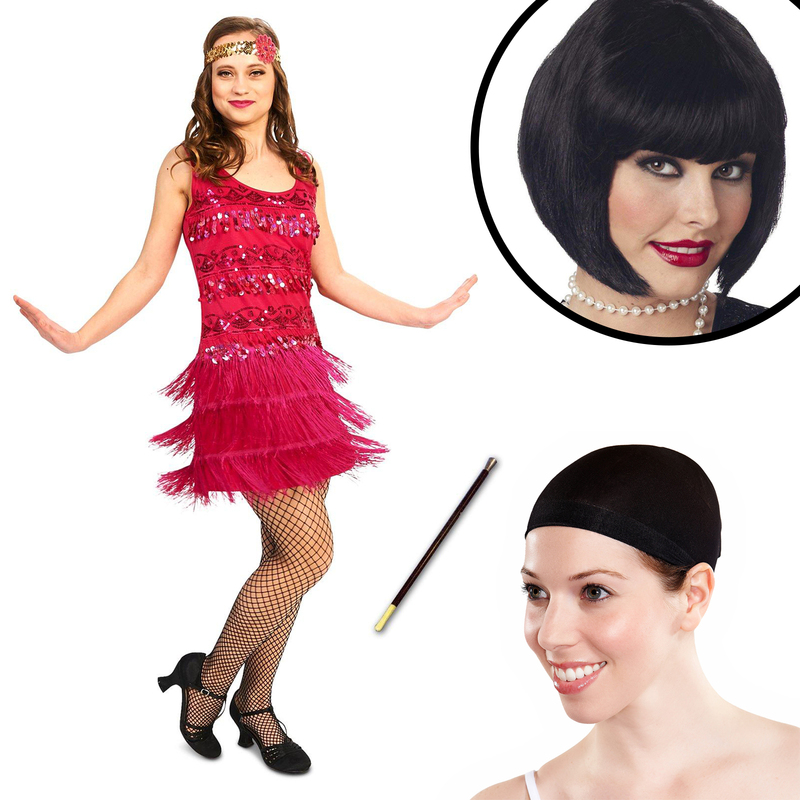 KIt includes dress, headpiece, cigarette holder, wig, and wig cap.